Imagine an Elizabeth Woodville who is not a vindictive harpy; a cold and calculating queen. Imagine a woman who set out to restore her deceased husband’s titles and lands to her sons and got caught up in a relationship with the king. She never set her eyes to the throne. She loved the king as a man and he won the crown and brought her into prominence. He made suggestions of appointments and marriages for her relatives. She was never over-reaching, except in a few instances where she was feeling vengeful for wrongs done to her family. She was a good and loving mother, a faithful wife and a dutiful queen. And if she ever started feeling a bit pompous, her brother Anthony brought her back down with his humble reasoning, reminding her of their family’s precarious position in the grand scheme of things. Based on the folk legend of Melusina, Elizabeth has inherited the gift of the water goddess. Her mother, Jacquetta, has subtle powers associated with water, as has Elizabeth and her eldest daughter. It has been passed down to the women in the family through their Burgundian line, as one of the founding lords married Melusina. The magic in this novel is not dark or associated with the devil, or really anything you’d expect. I previously read The Wise Woman and could barely stomach the witchcraft described, but this novel has nothing of the sort; the magic described is a very subtle, nature-based type of enchantments. I am very impressed with how the myth and the facts meshed together perfectly. This is a clever retelling of this time in history, and though it is embellished (Philippa Gregory’s trademark) fans will appreciate her creativity. I know that I didn’t want to read another boring Richard III story – and I didn’t get one. There are well-known conspiracies and newly invented ones. This Elizabeth Woodville, though of a docile nature, did not sit around and allow events to fall into place around her. She intrigued, though carefully, never giving her full trust to anyone. When she found she could do nothing, she turned to Melusina with her own private schemes. This is yet another novel based around the Princes in the Tower (I’ve read two others since May.) Though the ending is not overwhelmingly sad — it actually leaves Elizabeth happy with a slice of hope — some things were left unsolved, but there are hints as to how she would write the sequel; there is definitely more to the story of Margaret Beaufort, Henry Tudor and Elizabeth of York. 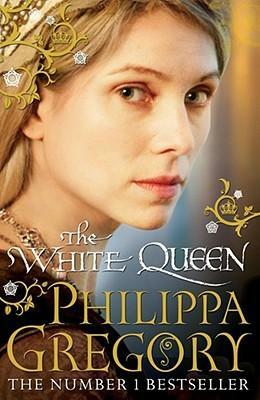 Philippa Gregory has become a wonderful writer – her latest books being so much better than the earlier ones. I’ve been enamored of her novels that feature three narrators, offering three different sides to a story at once, but this one is more like The Constant Princess, mainly in the voice of one character with little snippets of a past life inserted to coincide with the story being told. I like this one is even better than the last! 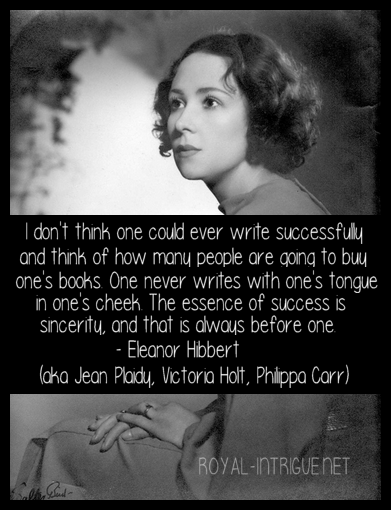 I believe she has finally found her voice and I eat up every new book she puts out. Her books are my ‘entertaining’ historical reads. When I want serious writing that is extremely factual I select one my 50+ Jean Plaidy novels or, better yet, I read non-fiction.